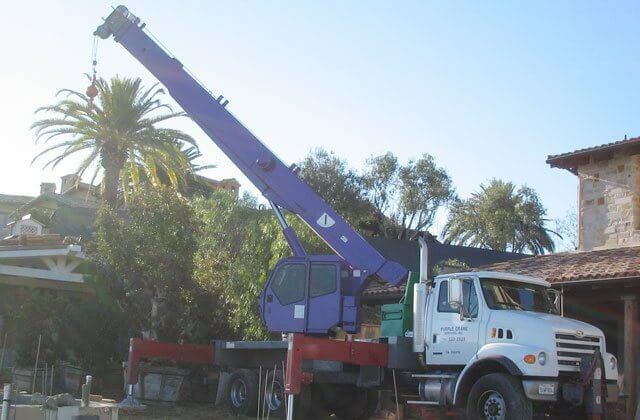 Welcome to Purple Crane, Southern California's most trusted crane rental company since 1983. In our thirty years as a dedicated, full-service, family-owned business, we've performed over 75,000 lifts throughout Southern California. 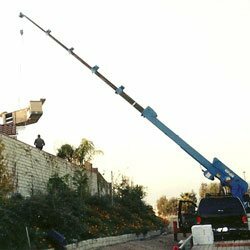 We specialize in both light- and heavy-duty lifts, and our state-of-the-art equipment includes cranes ranging from 3-ton to 75-ton capacity. Our 75-ton crane extends up to 165 feet, or 12 stories. At Purple Crane, we're committed to offering expert, efficient service at the best value. 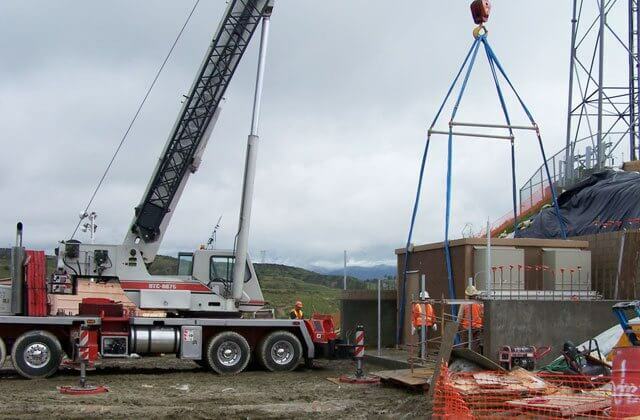 All our crane operators are licensed and have between 9 and 40 years of hands-on experience. 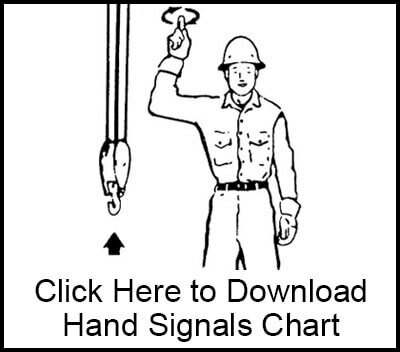 They are also certified by the NCCCO (National Commission for the Certification of Crane Operators). In addition, Purple Crane is OSHA compliant and fully insured, with the ability to provide same-day certificates of insurance. 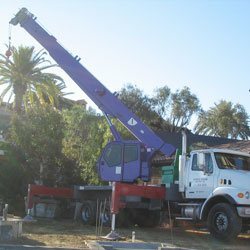 You can trust Purple Crane with all your lifting needs, whether commercial or residential. 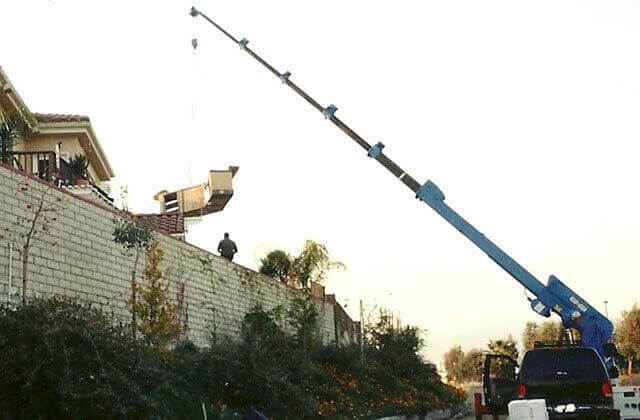 Our high quality cranes and skilled operators can handle any lift, including air conditioning unit lifting and removal, spa lifting and removal, construction projects, landscaping projects, utility services, and the removal and transportation of building materials. 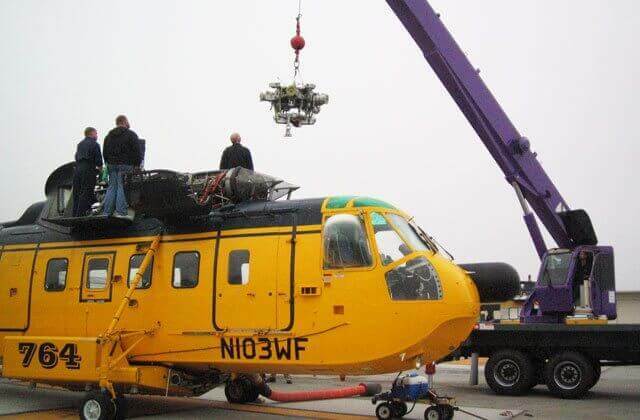 We have three decades of experience lifting everything from heavy shipping containers and large-scale machinery to trees and other landscaping objects. 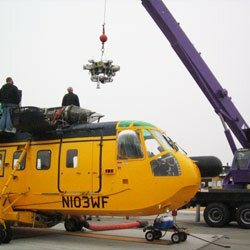 We also offer man basket services for projects requiring suspended personnel platforms, such as sign hanging, tree trimming, lighting repairs, and cell tower jobs. For air conditioning projects, we even offer free air conditioning unit haulaway to a certified recycler. As part of our commitment to excellent customer service, we guarantee our cranes will arrive to your project site on time. 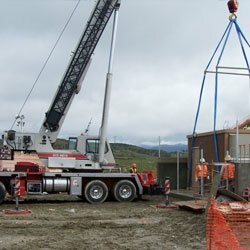 We have the knowledge and experience necessary to determine which crane is best for your project, ensuring accuracy, timeliness, and cost-effectiveness. 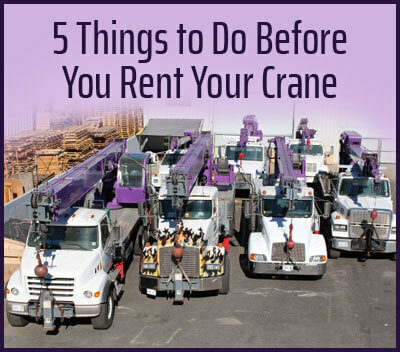 We have very reasonable rates, and our crane service is available 24/7, every day of the year. If you need transportation help on your project, we also rent heavy-duty trucks and trailers. Call Purple Crane today; a representative is available 24 hours a day, 7 days a week to take your call.